Working in a veterinary office as a vet tech Marney Prince saw first-hand the frustration of pet families bringing in their pets with skin conditions, food sensitivities, and even cancer. She did her own research into published work on the rising number of diseases and decreasing lifespan of dogs. Marney was encouraged as she read about the benefits of whole food nutrition, as well as the food therapies and herbal supplements used in Traditional Chinese Veterinary Medicine. She sought to bridge the gap between Eastern and Western philosophies as she started preparing her own food, experimenting in her home kitchen and trying recipes out on her pets and friends’ pets. 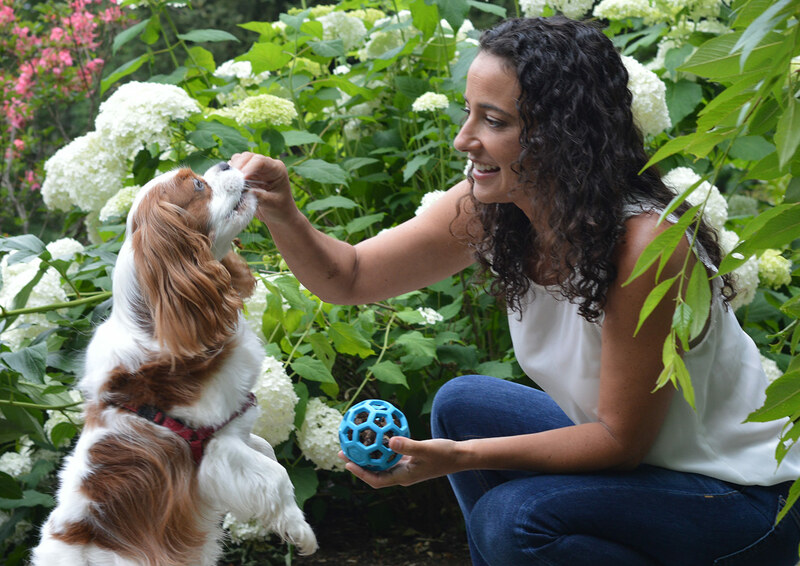 She soon took on clients, working to understand their animals from a holistic sense and individualize meals based on their big-picture array of needs. The results were remarkable: pets were gaining energy back, moving better, improving overall. She continued to optimize her recipes and add to her offerings, and her customer base grew, four paws at a time. On a visit to Telluride, CO, Carol Bramson heard about Marney’s pet nutrition company, and wanted to meet the woman behind it. Watching Marney in a one-on-one consultation with a new four-legged customer, Carol instantly saw that something was very different about Marney’s approach. She watched as Marney squatted down on the floor, eye to eye with the pup. She examined his eyes, felt inside his ears, looked closely at his gums and tongue. She asked the pup’s mom dozens of questions, like about where the dog liked to nap, and what they did together on the weekends. She sampled a few treats for the dog. Carol was intrigued, and couldn’t wait to introduce her to her labradoodle, Wrigley. Since they were on opposite sides of the country, that introduction happened on a video call. Marney coached Carol as she learned how to examine the ears, eyes, paws, feel Wrigley’s pulse. After the nearly one-hour virtual exam, not only did Marney know what Wrigley needed, but Carol had learned so much about her dog, that she felt even closer to Wrigley. Carol knew that what she saw in Telluride, and experienced on the floor of her living room with her own dog, was something unique. With a background in products that promote health, wellness and overall care of our family members, she saw an opportunity to better care for Wrigley and to help others do the same. She was ready to join Marney on a quest to bring personalized pet nutrition to all our pets. Together, Carol and Marney worked to find the best way to translate the one-on-one consultation to an online assessment that examines over 28 factors that indicate a pet’s nutritional needs. They developed a line of raw and cooked diets, treats, toppers, and broths inspired by the wellness and healing properties of whole food nutrition. Side by Side honors your pets, helping them stay healthy and live long vibrant lives. Our dogs are, after all, our babies. Let’s feed them right. We believe that each day with our pet is amazing, and that the best nutrition helps support your pet throughout their life. That’s more days of running side by side, playing side by side, cuddling side by side.